An easy process to convert MBOX file to PST format by using a technically advanced MBOX converter tool which Supports 20+ Email Clients including Thunderbird, Entourage, Apple MAC, Eudora, Berkeley Mail, Netscape, Spicebird etc. for complete Email migration on both Windows & Mac OS. Windows & Mac MBOX to PST converter supports .mbox/.mbx/ .mbs files created through any desktop email clients. 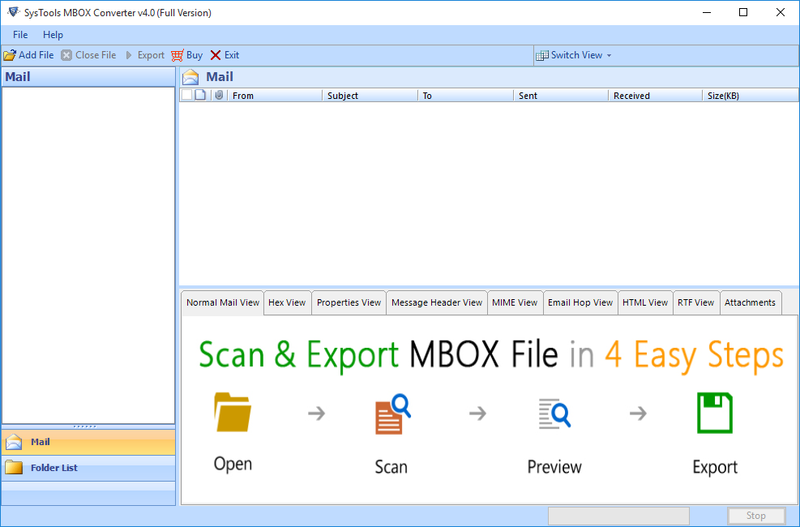 Get MBOX Viewer Tool absolutely FREE with MBOX to PST Converter and view all the contents of the any MBOX file without the need of an email client. MBOX to Outlook Converter for Mac & Windows is capable to provide intended results to the users owing to its foolproof conversion algorithms that work at the backend. Emails from draft, inbox, sent items and other folders can be exported successfully in bulk. When the tool executes Mac MBOX file to PST conversion process, it discovers that email properties, its formatting & content remains the same as it was before so get complete email data. The tool offers conversion from Mac MBOX to Outlook PST/MSG/EML/NSF/HTML/PDF. The entire procedure to transfer MBOX file data to PST has been made easy for the users with its design with a simple interface. 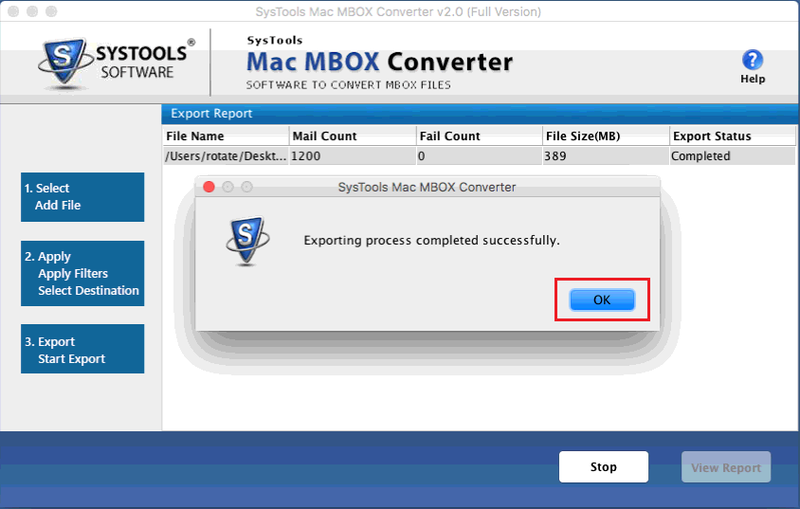 The frontend of the Mac MBOX Converter software is systematically created which explore how to open mbox files in outlook 2013, 10, 07 via conversion. The fact that .mbox file format is supportive to various email applications like Mac Apple Mail, Eudora, Thunderbird, Netscape, Entourage etc makes the MBOX to PST conversion for Mac & Windows a multifarious solution. Google Takeout & Gmail Vault backup files are also supported. 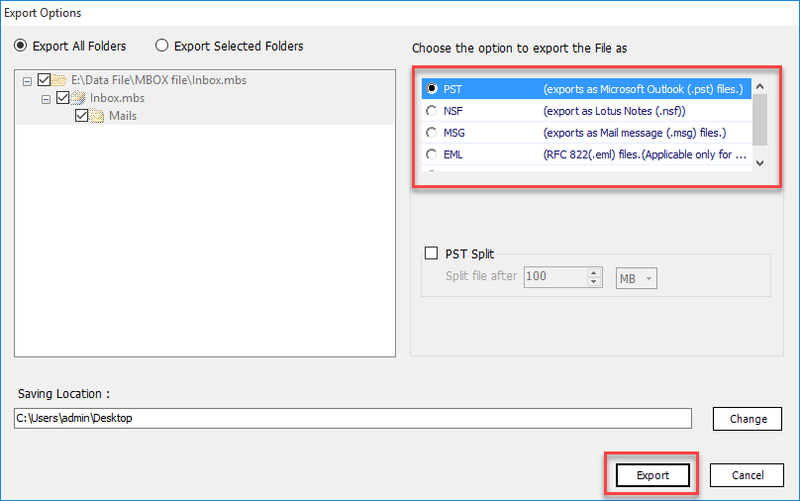 The software exports MBOX to Outlook PST is assembled with the option that asks users if the multiple emails in MBOX is to be saved in single PST file or for every MBOX, an individual PST should be created. Desired option can be selected. Windows & Mac MBOX to PST Converter is supportive to all version of Microsoft Outlook including 2019, 2016, 2013, 2010, 2007 and 2003 etc. This app provide users facility to save their selected files to any of the Outlook format, either as ANSI PST or as Unicode PST file. 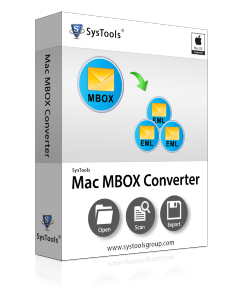 Mac MBOX Converter provides multiple options to select an appropriate naming pattern to save the email while exporting MBOX file to EML or MSG etc. The examples for file naming conventions are subject, save as, DD–MM–YY, MD5, auto incremental etc and many more. Windows & Mac MBOX file to PST converter tool provides option to split PST file by its size before the conversion of the MBOX file data to PST file. Split option divides PST file data by size which can be in MB or GB. User can select a desired size to export results data. Lotus Notes of any version 6.5\8.0\8.5\9.0\9.0.1 should be installed and configured properly for MBOX to NSF Conversion. 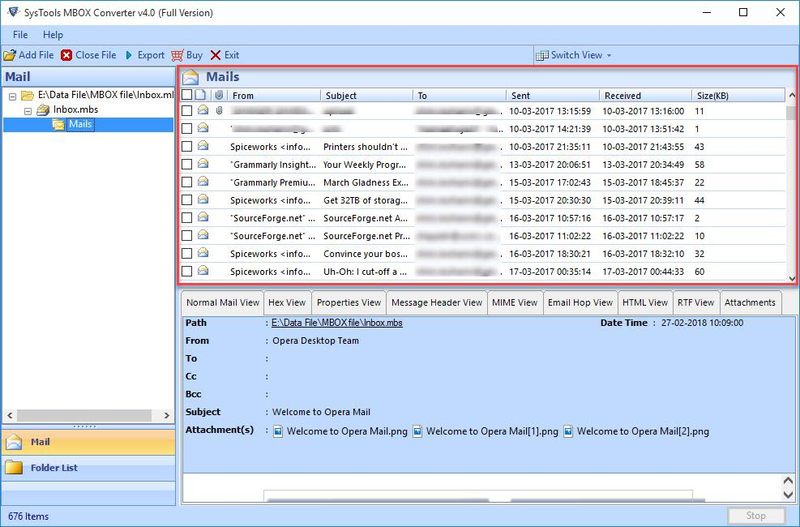 Great software with the superb functionality to support MBOX to Outlook conversion even when the files are created under any platform: Eudora, Spicebird, Entourage, Thunderbird, Apple mail etc. Just 2 clicks are required to perform the conversion without missing a single e-mail. I got a file from Mac Apple Mail and my need was to get it in the Outlook 2010 platform. This MBOX file to PST Converter for Mac & Windows really helped in resolving the dilemma of data accessibility even without having any OS other than Windows. Thanks to the entire team for offering such helpful tool. I am very happy to say that I had a wonderful experience with the MBOX converter to PST. The tool support more than 20 email clients and allow converting multiple MBOX files to PST files at a time that make it different from others. I just want to say a big thanks to developer for such as great effort. I was planning to switch from MAC to Windows but how to import MBOX to Outlook was an initial query for me. I used the tool and converted MBOX to PST file that is supported by MS Outlook. Thanks for making my task so effortless and easier. What are the quick steps to convert MBOX to PST file for Windows via this software? Step 1. 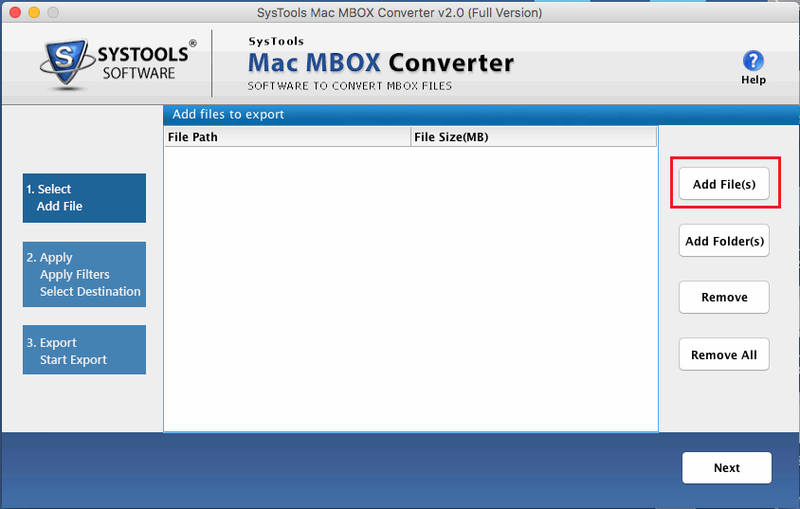 Download & Run MBOX Converter tool. Step 2. You will get two options to Add MBOX file. Selecting the first option will make the tool navigate to directory of the Email and add the MBOX file from there. 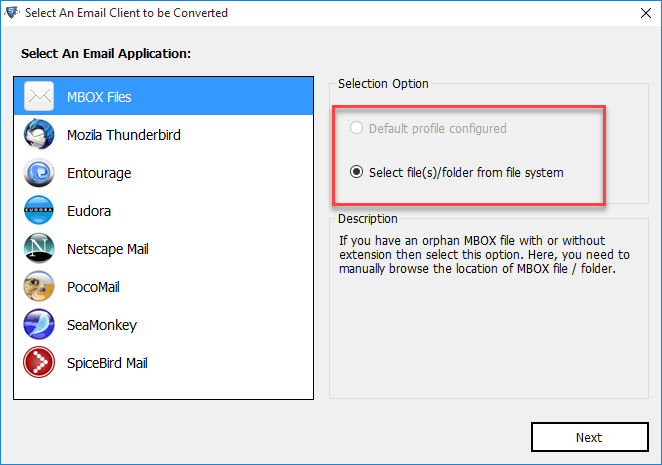 If you have an orphan MBOX file, select the second option. Step 3. All items of MBOX file will be shown in preview. Step 4. Now choose whether you want to convert the entire file or selected folders. Also, select PST Split option if you want to split the PST file. Step 5. You get to Export the file into PST, NSF, MSG, EML etc. formats. Click on Export. Will the software be able to convert my Mac Mail emails to Outlook PST? Yes, you can convert the Mac Mail emails into Outlook PST format. MBOX to PST converter for Mac & Windows supports all .mbox files, regardless of the source client they belong to .MBOX/.MBS/.MBX files of all its supporting clients are supported mbox to outy the tool including; Mac Mail, Eudora, Mozilla Thunderbird, Pocomail, etc. What type of PST file is created as an output after conversion? Mac MBOX Converter will create a Unicode type Outlook PST file, as the output for converted MBOX file. Is it necessary to have Outlook on my machine to convert MBOX to PST? No, the software does not impose any such limitations. You can convert MBOX files to Outlook PST on Windows & Mac platform without having Microsoft Outlook installed/configured on your machine. Do I have to store MBOX files in a separate folder to use folder scan option? No, you don't have to separately store MBOX files to use the folder scan option. Windows & Mac MBOX to Outlook converter is built with an advanced algorithm which ensures that only MBOX files are scanned from the selected folder, excluding the other file types. How does the software save converted MBOX files in the form of PST? The MBOX to PST converter software for Mac & Windows offers two options for you to choose from and save data file(s) as i.e. single PST for all MBOX files or separate PST for all files. The first option combines the MBOX files being converted into a single PST file while the second option lets you create a separate PST file for each MBOX file. 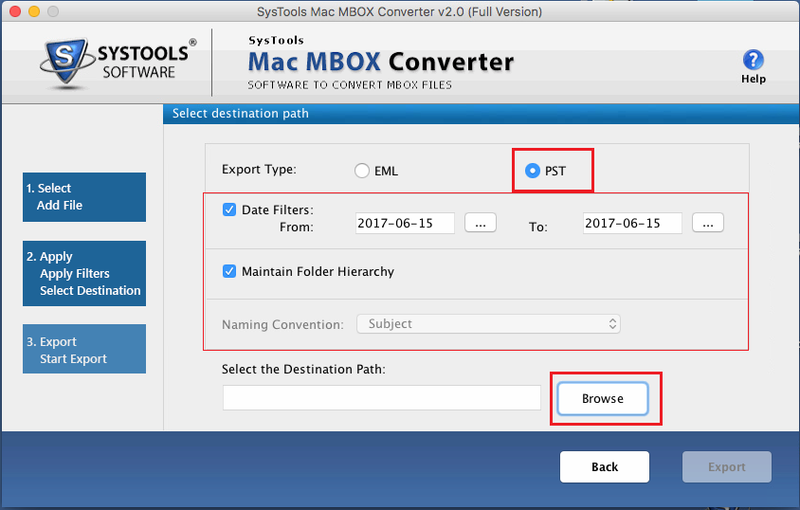 Convert MBOX mailboxes to PST/EML File Format using Mac Version of MBOX converter having simple steps conversions and Supports 20+ Email Clients for Email Migration on Mac. Do MBOX to EML conversion with no file size limitation. Maintain HTML Formatting and Inline Images in email body after export. After converting to EML & PST format Mac MBOX Converter maintains all properties & integrated structure of emails. Mac MBOX Converter contains Naming Convention to Export MBOX files & Folders with Email Filtering options. Mac OS 10.10 (Yosemite) & above versions supported. Mac MBOX converter supports multiple MBOX files conversion at a time thereby reducing the time and makes the conversion efficient. Mac MBOX Converter gives option to export the MBOX file to EML format with individual emails separately. Users can search and arrange the exported emails from Mac MBOX to EML Converter according to the date specified in the filter input. Mac MBOX Converter provides multiple options to select an appropriate naming pattern to save the email while exporting MBOX file to EML. Naming conventions are subject, save as, DD–MM–YY, MD5, etc and many more as it helps in locating the converted emails easily. Mac MBOX Converter supports latest versions of the Mac OS including Mac OS 10.10(Yosemite) & above versions and it can be installed easily using installation wizard. Add Multiple MBOX Files using "Add File" option. The free trial version of Mac MBOX to PST Converter supports export of 25 emails/folder to PST format for testing purpose only.